The art in this set is great. And this card is great. I mean, it's no intuition, but it is definitely playable. Intuition is a totally different class of card. 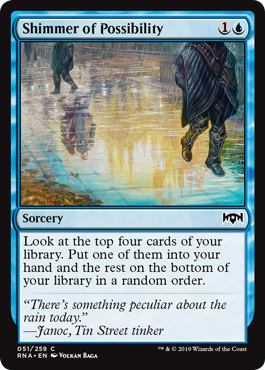 I would compare this unfavorably to Brainstorm before reminding everyone Brainstorm is OP and this is certainly playable. Almost, it's a Sorcery though, which limits its power level a bit.